Avid, the leading technology provider of software tools and platforms that power the media and entertainment industry, today announced the availability of Avid Nexis E5 NL nearline storage solution. The addition of this high-density on-premises solution to the Avid Nexis family — the world’s first software-defined storage platform for media — allows Avid customers to seamlessly and efficiently manage media across all their online, nearlin and archive storage resources. Avid Nexis E5 NL is tightly integrated into Avid media applications, services and workflows, and includes a new web-based Avid Nexis management console for managing, controlling and monitoring Avid Nexis installations. Avid Nexis E5 NL can be easily accessed through MediaCentral Cloud UX or Media Composer and also integrates with MediaCentral Production Management, MediaCentral Asset Management and MediaCentral Editorial Management to drive collaboration, including advanced features such as project and bin sharing. Extending the Avid Nexis FS (file system) to a secondary storage tier makes it easy to search for, find and import media, enabling users to locate content distributed throughout their operations more quickly and efficiently. Ideally suited for project parking, staging workflows and proxy archive, Avid Nexis E5 NL streamlines the workflow between active and non-active assets, allowing media organizations to park assets as well as completed projects on high-density nearline storage, and keep them within easy reach for rediscovery and reuse. Up to eightAvid Nexis E5 NL engines can be integrated as one virtualizable pool of storage, making content and associated projects and bins more accessible. In addition, other Avid NEXIS Enterprise engines can be integrated into a single storage system that is partitioned for better archival organization. Scalability from 480 TB of storage to more than 7 PB by connecting multiple Avid NEXIS E5 NL engines together as a single nearline system for a highly scalable, lower-cost secondary tier of storage. Configure, control and monitor Avid NEXIS using the updated management console that looks and feels like a MediaCentral Cloud UX application. Its dashboard provides an overview of the system’s performance, bandwidth, and status, as well as access to quickly configure and manage workspaces, storage groups, user access, notifications, and other functions. The flexibility and security of HTML5 along with a responsive interface design enables mobile device support, allowing users to monitor and configure their system while on the go. 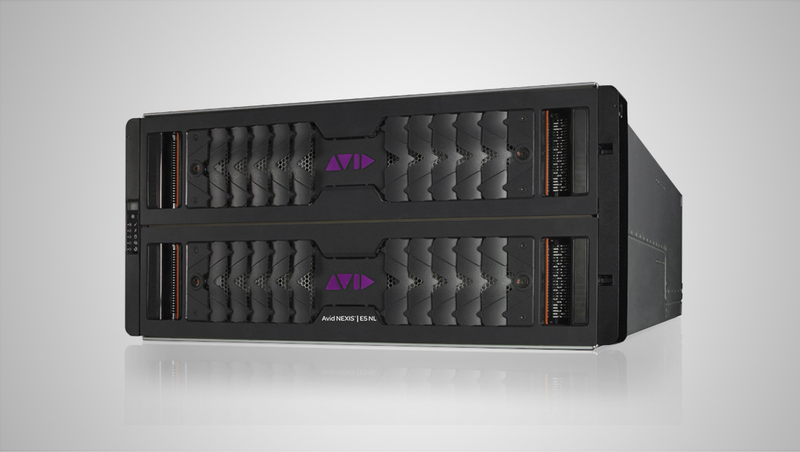 Avid Nexis E5 NL is now available through Avid resellers.